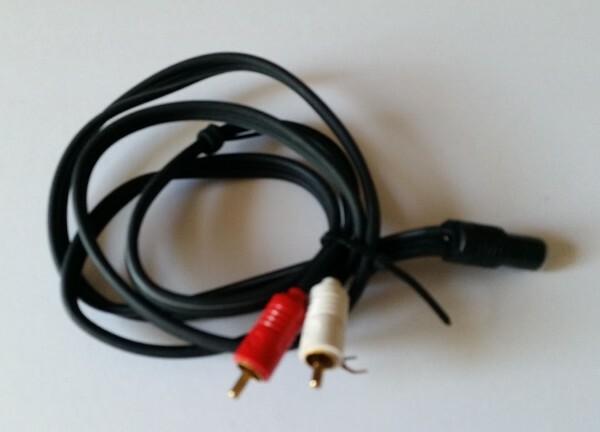 Graham IC-30 phono cable 5 ft. DIN to RCA connectors. Straight Wire 1m (3ft). DIN to RCA with ground cable attached. 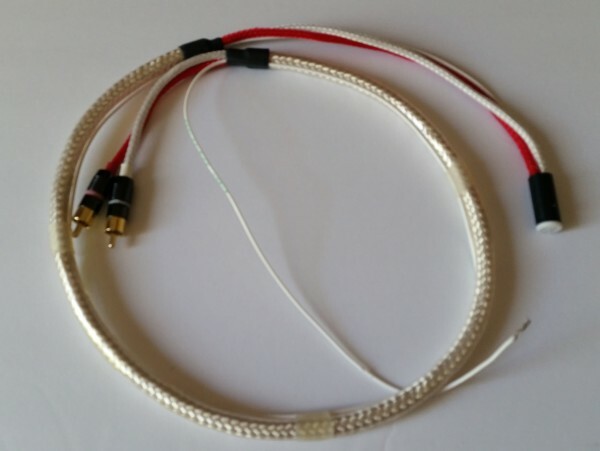 Discwasher Gold phono cable 1M (3ft). RCA to RCA with ground cable. Very good condition . 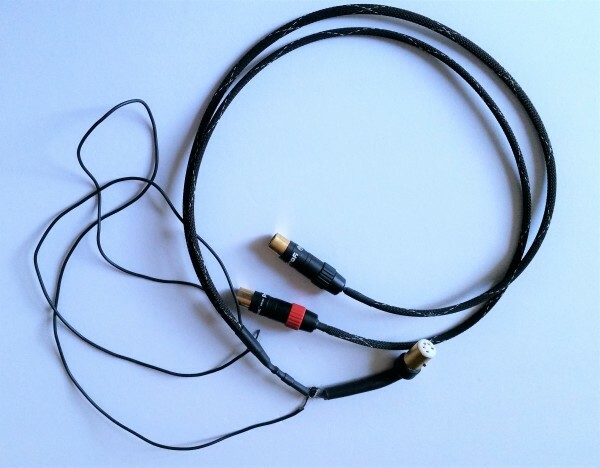 Ocellia Reference phono cable 1.2m (4ft). DIN to RCA connectors with ground cable in perfect condition with original leather pouch. This is my second best sounding phono cable at any price. 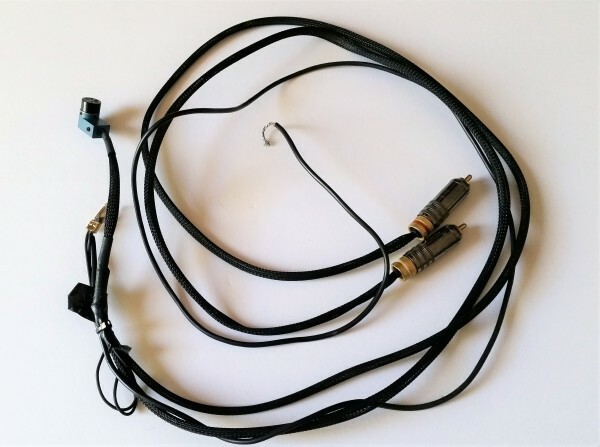 Yamaha balanced phono cable 4ft. DIN to XLR with ground cable. 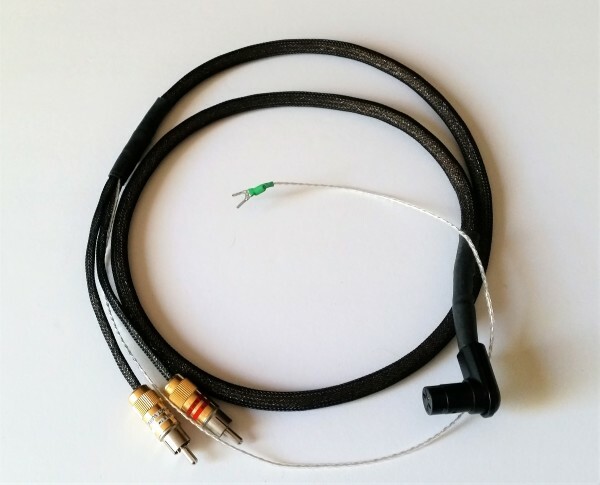 Wireworld GE phono cable 2.5ft . 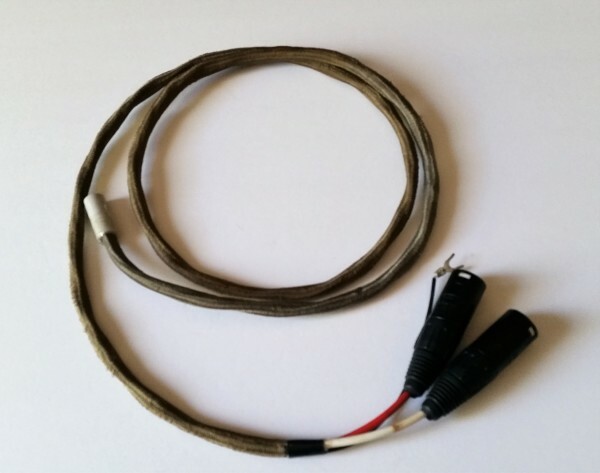 DIN to RCA with ground cable with original locking CMC connectors. 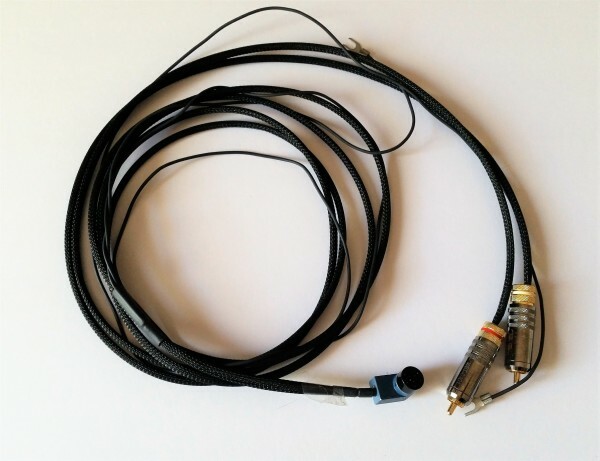 Dynavector DV-505 phono cable 3ft. DIN to RCA with ground cable. 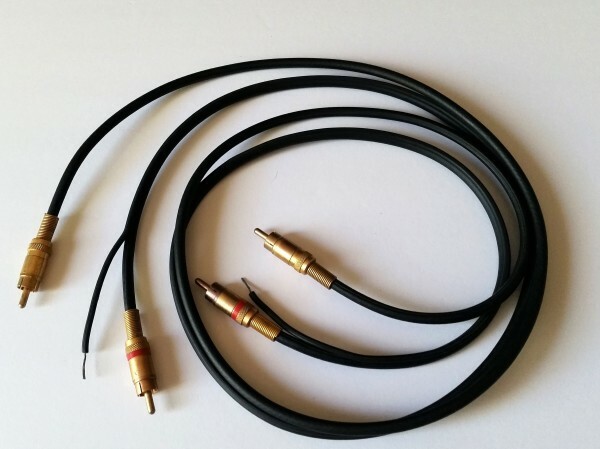 Graham IC-30 phono cable 1m (3ft). DIN to RCA with ground cable. Perfect condition. Mob Squad phono cable box. DIN to RCA female. Accepts any RCA cables. PrimaLuna Prologue Premium Mono-Blocks Power Amplifiers for sale. These are new with 20 hours of test-play. The PrimaLuna is class A. These amazing sets are accepting various power tubes that reflects power output. The bad tube indicator, PTP and OTP circuit protection, +B relay, Adaptive Auto bias, point-to-point hand wiring and many other features makes these great sounding amplifiers very safe, easy to use and maintain. Shipping weight is 2 x 50 Lb/ 2 x 25kg. USA would be $80-$100; depends on location. International shipping charges is vary on the country. VPI HW-19 turntable with Eminent Technology air tangent ET-2 tonearm for sale. The table is in very good operational and cosmetic condition. It comes with dust cover. All clean and neat. The pictures are a bit blurry, but in fact it looks much nicer. The table bearring is silent motor holds the speed well. The ET tonearm is on of the best air tangent arms produced. Table weight is $50 Lb packed Shipping inside USA and foreign countries. Will be shipped in 2 boxes. Rega RB 250 tonearm in 9 inch length with upgraded $350 Discadel cables. The arm, cables are in perfect operational and cosmetic condition. Belles Soloist MM/ MC phono preamplifier is definitely hidden treasure of High End analog. Designed by famous Dave Belles, this phono preamp is everything you expect from High End phono when it comes to sound and versatility. The phono stage has MM/MC capability. It has supply impedance loading plugs at 50 Ohms and 100 Ohms to better match your cartridges. The phono stage is steal for the price. design for mass production, because of cost and time to produce these. Only 3 were made to special orders. I've ever auditioned at any price. Shipping $25 inside USA; $70 around the globe. 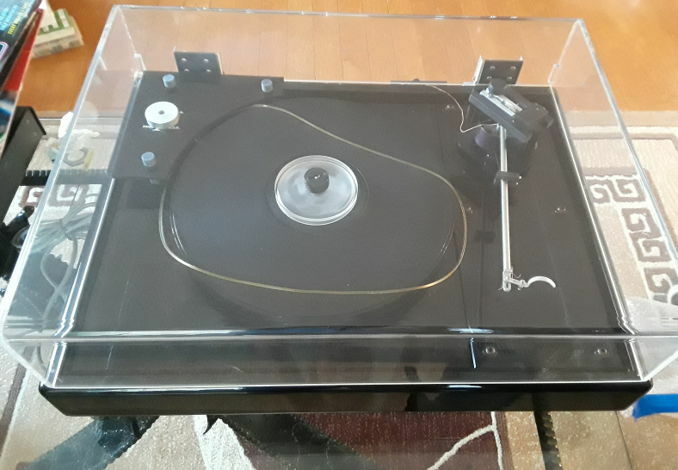 Nottingham HyperSpace turntable with Fidelity Research FR 64F tonearm for sale. in the business. This generates smooth rotation and dark-dead quiet background. The table is in perfect operational and cosmetic condition. The arm was fitted on my table directly to RCA plugs I can use cables of my choice. I purchased the arm for Italian custom MONOlite table 5 years ago and used it in and out for at least half a year. Out of the closet and quite dusty as you can see. The table is gone and no need for arm now. The arm is great tracker, very quiet and has sound stage weder than any of the arms I've heard. When I first installed it I got the impression that some of the instruments are playing on my balcony and in a hallway. I actually experimented opening the balcony and close to see how it changes the sounds. I have box, but no base or papers or original cable. Shipping $47 USA, Europe $123, Asia $147. Shipping to Canada is $88. 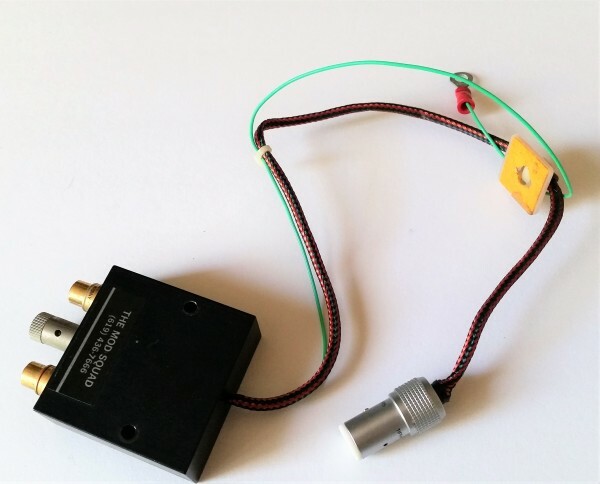 Klyne KS-1 moving coil step up preamplifier is one of the best that can match any MC cartridge with versatility of input to regulate high-mid frequency bandwidth. The preamp is in perfect operational and cosmetic condition. The original power supply and manual are included. Grace G-707 Quad-master tonearm in 9 inch length with box and cables. The arm, box and cables are in perfect operational and cosmetic condition.